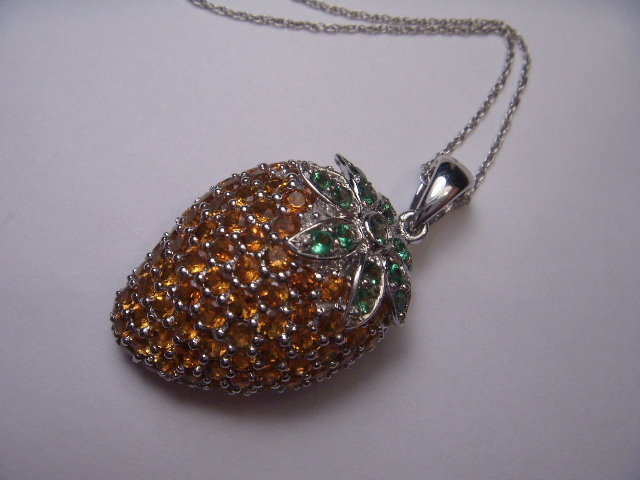 14K white gold orange citrine and tsavorite strawberry necklace / pendant. 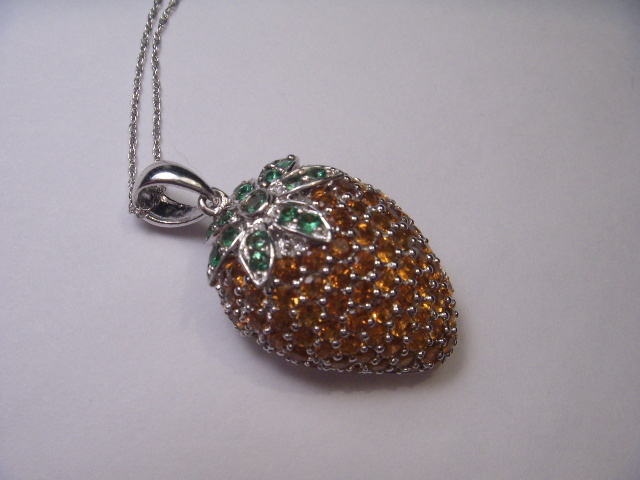 The piece features numerous round citrines and tsavorites with a total weight of 3.34 carats. 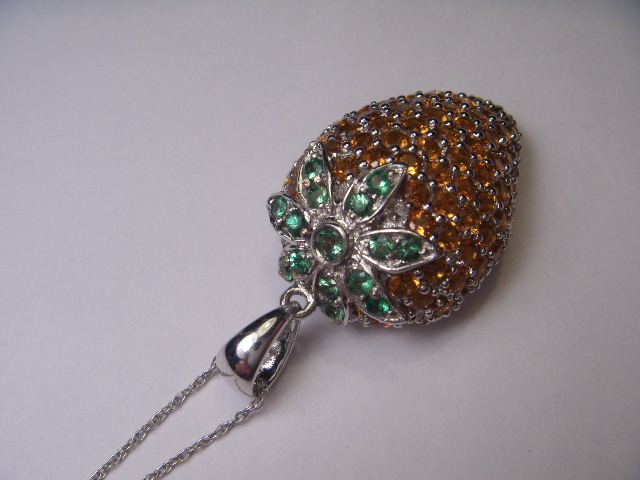 The necklace measures 18 inches long. 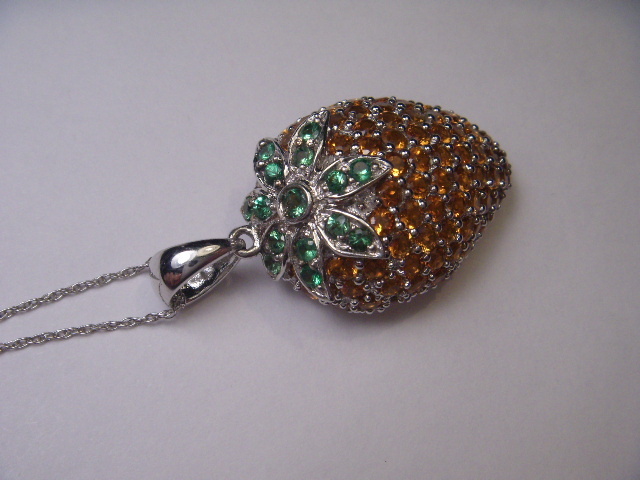 The pendant measures 1.25 inches long by 3/4 of an inch wide. The necklace weighs 7.3 grams.